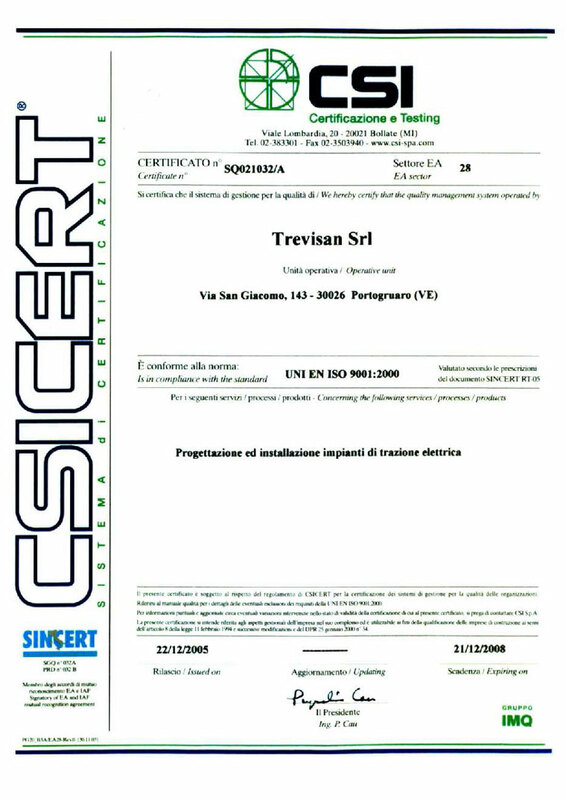 The Company Trevisan s.r.l. is part of the Qualification System, established by “RFI - Rete Ferroviaria Italiana”, for the companies that deal with electric traction systems and power supply works, in LTE-002 category, amount class n.4 – works till € 4.13 millions. Furthermore it is part of the Qualification System, established by R.F.I., for the companies that deal with the realization of rail signalling systems, in LIS-006 category, amount class n.3 - works till € 1,30 million. The Company Trevisan s.r.l. chose to operate in a Quality System and it is certified as per the standard ISO 9001/2000, both for the planning and the realization of any electric traction system; Moreover it has achieved the certification for the realization of public works, category OS27, class V – works till € 5.16 millions. Our main services are directed to the industial sector companies for the construction of electrical systems and the electrification of rail lines. The company TREVISAN S.r.l. has a large fleet to perform any work for electric traction systems. The Company TREVISAN s.r.l. 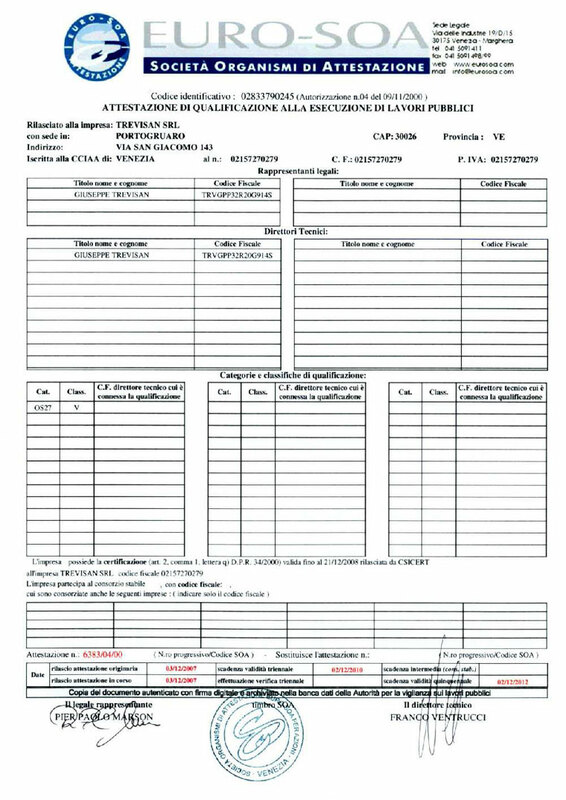 is inserted in the Qualification System for Enterprise for interventions to installations for electric traction and energy.